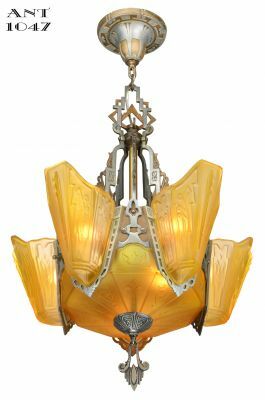 Gustav Stickley, and the company that bore his name, are credited for putting Arts & Crafts into the American design culture. 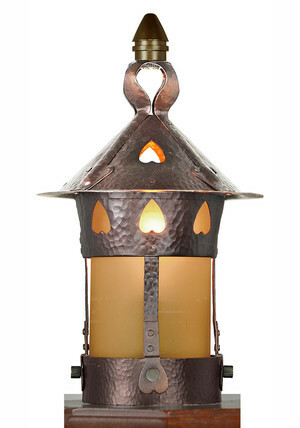 We have reproduced one of his most popular lights called "The Heart" light. 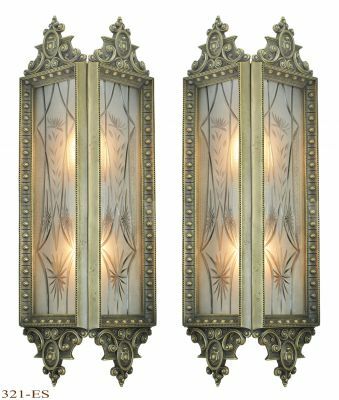 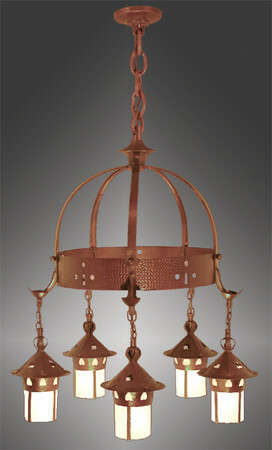 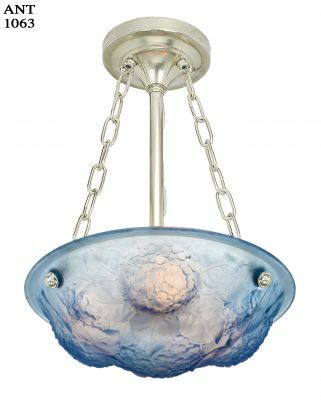 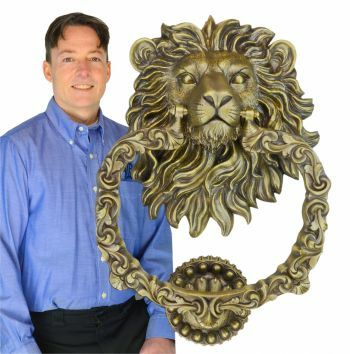 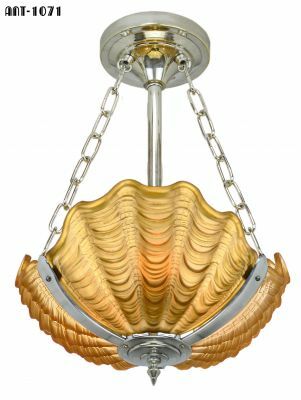 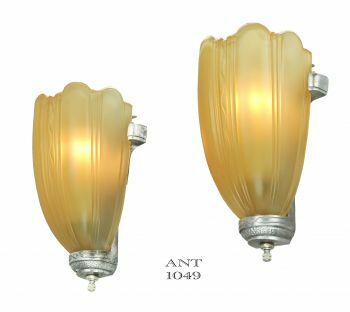 These high quality fixtures are produced the same way the originals were: made from solid copper, formed to shape and design by hundred of hammer blows by skilled craftsman. 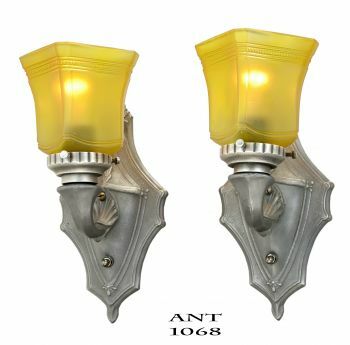 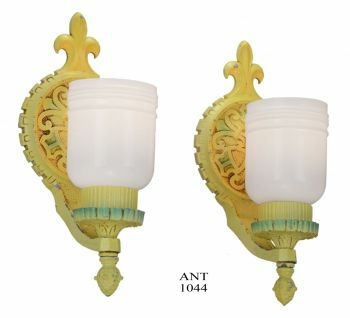 These are not cheap cast fixtures. 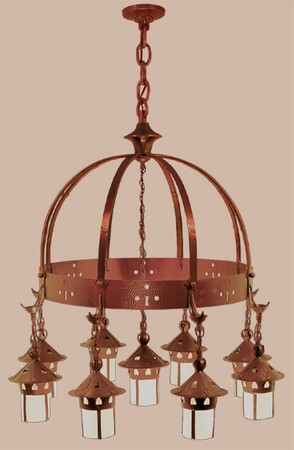 The copper patina is toned down and lacquered. 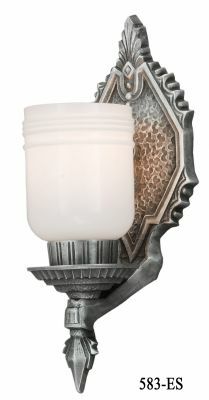 Width: 6" at the widest point of the newel post. 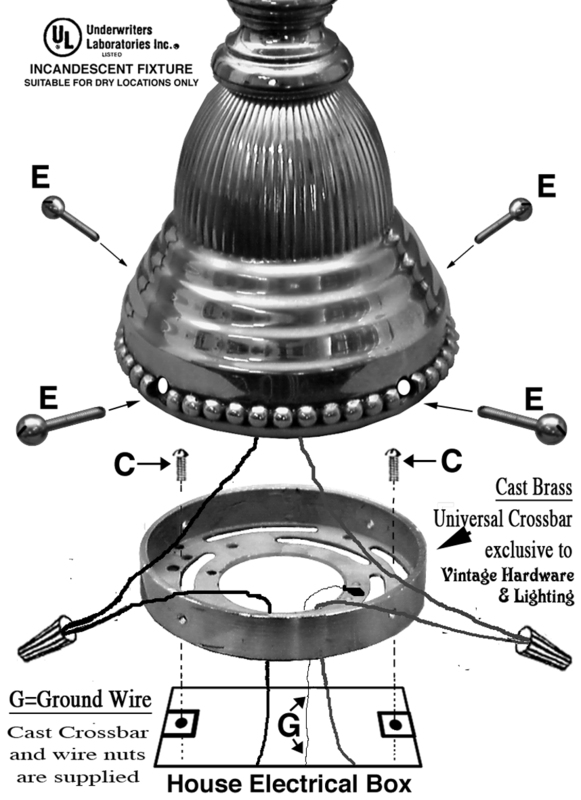 Base Footprint: 3 9⁄16" diameter. 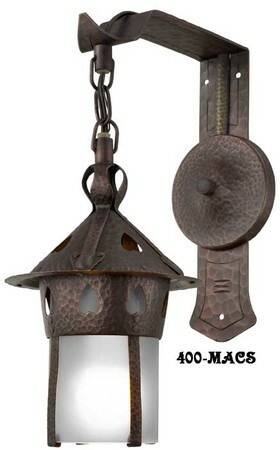 Wattage: One standard medium base socket, rated up to 100 watts incandescent. 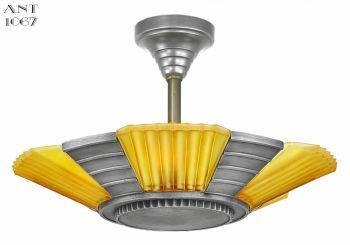 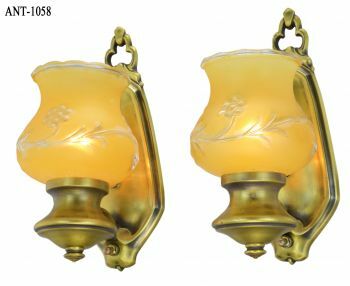 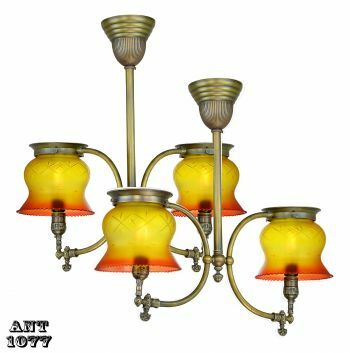 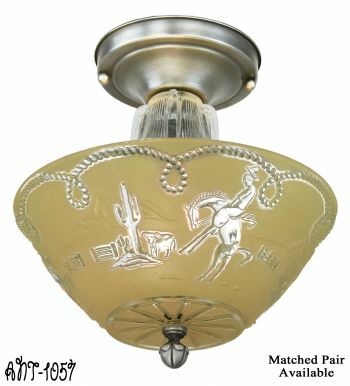 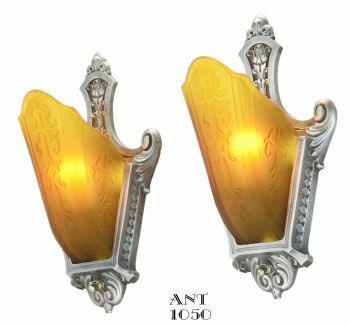 Choose from frosted white or amber glass shade by using the menu above. 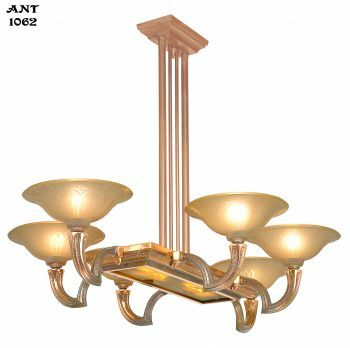 Note: The pictured wooden base is not provided. This copper lantern is designed to be mounted onto your existing stair newel post, which has been wired for electricity during construction. 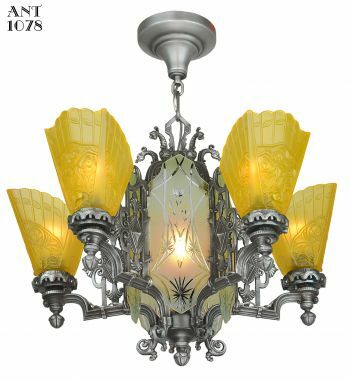 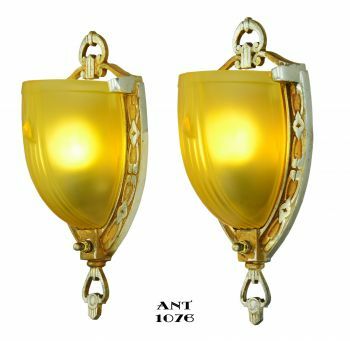 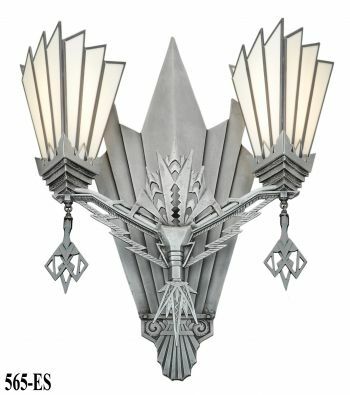 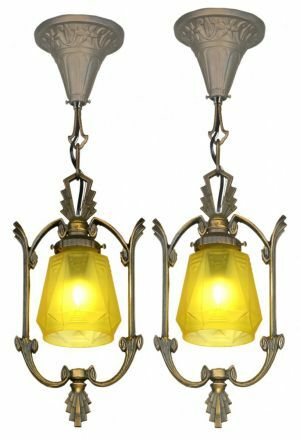 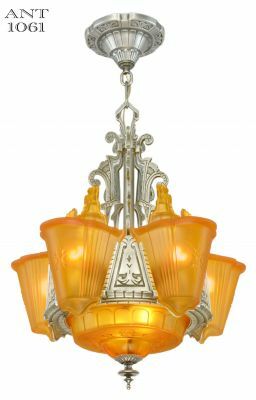 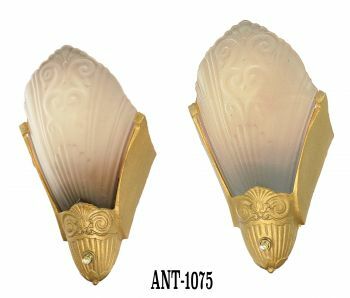 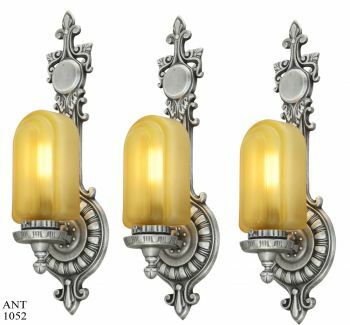 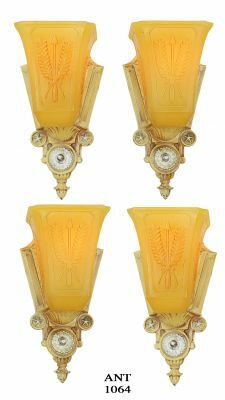 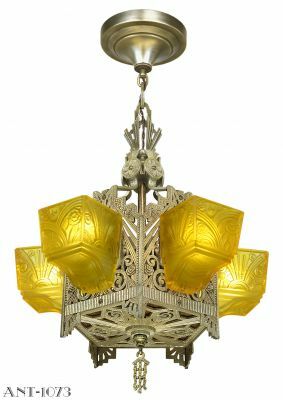 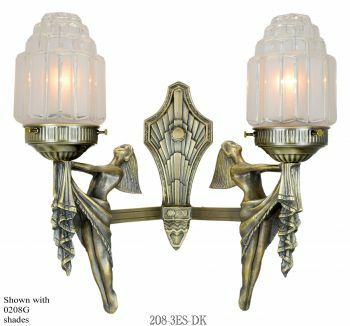 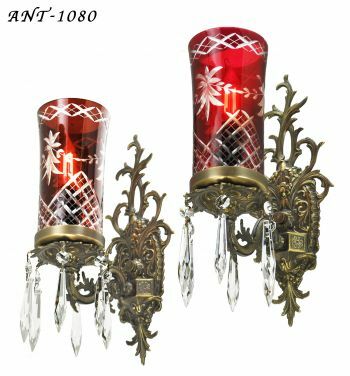 The Heart Design is also offered in pendant, sconce, and chandeliers.